In a recent interview, Judge Michael A. Ponsor, who presided over the first federal death penalty trial in Massachusetts in over 50 years, warned that the death penalty comes with a "heavy price" - the risk of executing innocent people: "A legal regime permitting capital punishment comes with a fairly heavy price....where there’s a death penalty innocent people will die. Sooner or later—we hope not too often—someone who didn’t commit the crime will be executed." In 2001, Judge Ponsor oversaw the capital trial of Kristen Gilbert, a nurse who was charged with killing some of her patients. Gilbert was ultimately found guilty and sentenced to life without parole. The judge said the trial made him question the whole process of death sentencing: "The most profound realization I took from Gilbert was that human beings getting together to decide whether someone should be executed, even when they are supervised by a judge, will make mistakes." In a recent op-ed in the National Law Journal, historian John Bessler described the ambivalence among American founders toward the death penalty. He noted, "Although early U.S. laws authorized executions, the founders greatly admired a now little-known Italian writer, Cesare Beccaria, who fervently opposed capital punishment. They also were fascinated by the penitentiary system's potential to eliminate cruel punishments." Thomas Jefferson wrote, "Beccaria and other writers on crimes and punishments had satisfied the reasonable world of the unrightfulness and inefficacy of the punishment of crimes by death." James Madison, the father of the Constitution, was one of several founding fathers who sought to reduce the number of executions, saying, "I should not regret a fair and full trial of the entire abolition of capital punishments by any State willing to make it." Bessler concluded, "[T]he Founding Fathers were deeply ambivalent about capital punishment. Indeed, they embraced the principle of Montesquieu and Beccaria that any punishment that goes beyond what is 'absolutely necessary' is 'tyrannical.' In an era of maximum-security prisons and life-without-parole sentences, the death penalty can no longer be considered necessary." Bryan Stevenson, founder of the Equal Justice Initiative in Alabama, has written a new book, Just Mercy, about his experiences defending the poor and the wrongfully convicted throughout the south. It includes the story of one of Stevenson's first cases as a young lawyer, that of Walter McMillian, who was eventually exonerated and freed from death row. McMillian, a black man, had been convicted of the murder of a white woman in Monroeville, Alabama. His trial lasted just a day and a half, prosecutors withheld exculpatory evidence, and the judge imposed a death sentence over the jury's recommendation for life. 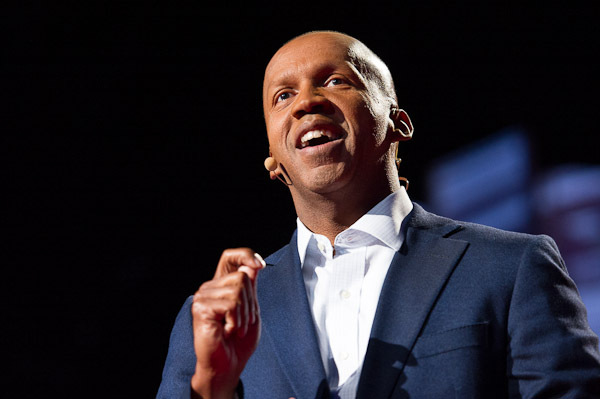 Archbishop Desmond Tutu said of the book, “Bryan Stevenson is America’s young Nelson Mandela, a brilliant lawyer fighting with courage and conviction to guarantee justice for all. Just Mercy should be read by people of conscience in every civilized country in the world to discover what happens when revenge and retribution replace justice and mercy. It is as gripping to read as any legal thriller, and what hangs in the balance is nothing less than the soul of a great nation." BOOKS - CONSTITUTION DAY: "The Birth of American Law"
In The Birth of American Law: An Italian Philosopher and the American Revolution, historian John Bessler reveals the profound influence that the Italian thinker, Cesare Beccaria, had on the constitutional founders of the United States, including George Washington and John Adams. Beccaria's bestselling book, On Crimes and Punishments, argued against torture and the death penalty, saying only punishments proven absolutely necessary should be used. Bessler shows that the death penalty was more controversial at the writing of the constitution than is often assumed today. America did abandon England's Bloody Code and eventually most corporal punishment, but still retains capital punishment. Julie Silverbrook, executive director of The Constitutional Sources Project, said of the book, "John Bessler masterfully and comprehensively traces how Cesare Beccaria’s On Crimes and Punishments deeply affected early American views on crime and the proportionality of punishments for crime. Just as John Adams gifted Beccaria’s treatise to his sons, John Bessler has gifted Beccaria to a new generation of Americans." UPDATE: In 2015, Bessler's book was given the Scribes Book Award as the best work of legal scholarship in 2014 by the American Society of Legal Writers. BOOKS: "America's Experiment with Capital Punishment"
The highly acclaimed resource on the death penalty -- "America's Experiment with Capital Punishment" -- has just been released in its Third Edition. This compendium of essays by experts covers the history, politics, and law of the death penalty, as well as related issues, such as innocence, intellectual disability, and race. DPIC's Executive Director, Richard Dieter, contributed a chapter on the costs of the death penalty. The editors encourage readers to grapple with the many questions surrounding capital punishment, saying, "Today, more than 40 years after the death penalty came to an abrupt but temporary halt with the Supreme Court's ruling in Furman v. Georgia (1972), a host of fundamental questions involving law, social policy, and essential justice remain unanswered about America's renewed commitment to capital punishment." This edition includes a particular focus on lethal injection and trends in the Supreme Court's interpretation of the nation's "evolving standards of decency." As schools begin their new terms, we would like to remind you of two educational resources on the death penalty free from DPIC. Our award-winning high school curriculum, Educational Curriculum on the Death Penalty, includes 10-day lesson plans, interactive maps and exercises, and a presentation of pros and cons on the death penalty for discussion and debate. It is also available as a free iBook for the Apple iPad. The iBook version incorporates the interactivity and user-friendly interface of a tablet, including touch-screen navigation, access to the full curriculum even when offline, and use of standard iBook features, such as definitions and note-taking. For instructions on downloading the iBook, click here. Our college-level curriculum, Capital Punishment in Context, contains detailed case studies of individuals who were sentenced to death in the U.S. The curriculum provides a complete narrative of each case, along with original resources, such as homicide reports, affidavits, and transcripts of testimony from witnesses. The narratives are followed by a discussion of the issues raised by each case, enabling students to research further into a broad variety of topics. Both curricula have special materials for those who register. They are widely used by educators in the U.S. and around the world in the fields of civics, criminal justice, sociology, and many other areas. Questioning Capital Punishment, a new book by James R. Acker, a professor of criminal justice at the University at Albany, provides a comprehensive overview of the death penalty in America. With a basis in court decisions and research studies, the book covers all the key issues and the arguments for and against capital punishment. Chapters are devoted to deterrence, sentencing criteria, racial discrimination, and innocence, among other topics. In reviewing the book, Carol Steiker, a professor at Harvard Law School, said, "In the rapidly changing political and legal landscape around capital punishment, this volume offers up-to-the-minute materials and fair-minded questions to counter the partisan bromides that often dominate the conversation. A terrific introduction to a timely and important issue." In the preface, Prof. Acker wrote, "This volume is intended for anyone who is interested in exploring the history and current status of capital punishment in this country, including its legal foundations, its justifications, and its empirical and policy dimensions." BOOKS: "I Am Troy Davis"
I Am Troy Davis is a recent book by Jen Marlowe and Troy Davis' sister, Martina Davis-Correia, that tells the story of a possibly innocent man who was executed in Georgia in 2011. Troy Davis was sentenced to death for the murder of a police officer in Savannah. Years later evidence casting doubts about his guilt emerged, including recantations from several of the witnesses who had testified against him. Pope Benedict XVI, President Jimmy Carter, and 51 members of Congress petitioned for his clemency. Regarding the book, actress Susan Sarandon said, "I Am Troy Davis is a painful yet very important book, one that will bring you face to face with the human impact of the death penalty system, prompt you to think deeply about the flaws in our criminal justice system, and inspire you to stand with all those who have been wrongfully placed on death row." Kirkus Reviews called the book, "Poignant and humane... a powerful narrative that challenges the notion that 'the taking of one life can be answered by the taking of another.'" A new book, Gruesome Spectacles: Botched Executions and America's Death Penalty, describes the history of flawed executions in the U.S. from 1890 to 2010. During that period, 8,776 people were executed and 276 of those executions went wrong in some way. Of all the methods used, lethal injection had the highest rate of botched executions--about 7%. 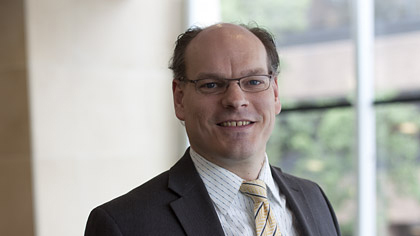 Austin Sarat, the author of the book and a professor of jurisprudence and political science at Amherst College, described the evolution of new methods of execution: "With each development in the technology of execution, the same promises have been made, that each new technology was safe, reliable, effective and humane. Those claims have not generally been fulfilled." In an interview, Sarat was asked how the recent botched execution of Clayton Lockett might affect the public discussion on the death penalty. He replied, "This execution has happened at a time of national reconsideration of capital punishment. The death penalty is really declining. I’m tempted to say it’s dying in the United States. Public support is down, the number of death sentences over the last decade or so has been cut by two thirds, the number of executions is down by about 50 percent. More and more, Americans are focusing on the practical realities and worrying that while the death penalty might in some abstract way satisfy some people, when you look at how it’s actually administered, maybe it’s not worth the cost."